Since then, she has enjoyed two more number ones (All of You, I Loved You Always Forever), released three albums, a cover of Widelife's All Things (Just Keep Getting Better), which was used as the theme song for Netflix's second season of Queer Eye. Her third album Betty, has just been released; it is her first as an independent artist and features some striking mid and up-tempo songs - Old Me, Beautiful and I Remember will certainly leave you in a good mood. Catch her on tour and dance, dance, dance. Seen Betty Who? Loved it? Hated it? Sound good to you? 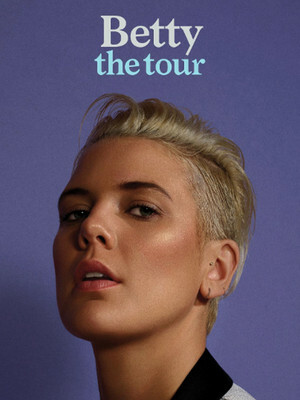 Share this page on social media and let your friends know about Betty Who at Vic Theater. Please note: The term Vic Theater and/or Betty Who as well as all associated graphics, logos, and/or other trademarks, tradenames or copyrights are the property of the Vic Theater and/or Betty Who and are used herein for factual descriptive purposes only. We are in no way associated with or authorized by the Vic Theater and/or Betty Who and neither that entity nor any of its affiliates have licensed or endorsed us to sell tickets, goods and or services in conjunction with their events.